A 21-year-old man has been given a four-year jail term for being drunk and driving dangerously causing the death of a 42-year-old Co Clare man three years ago. Eugene McNamara, a lifelong player, coach and manager with the Éire Óg GAA club in Ennis, was struck by a car driven by Rene Miko as he walked home from his brother's house on the night of 26 October 2016. Miko’s car had been spotted driving dangerously and at double the speed limit in the area before the car struck Mr Mc Namara. 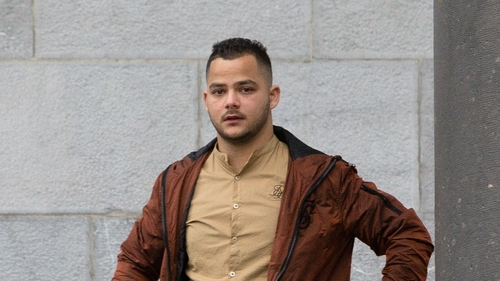 Miko was twice the legal drink driving limit and fled the scene along with a passenger, leaving Mr McNamara seriously injured on the footpath. He died a number of days later after sustaining a traumatic head injury in the collision. In a victim impact statement read in court, his brother Stephen Mc Namara, a former All Ireland winning hurler, said the loss of his beloved brother had an enormous impact on his family. He said they were living a daily nightmare about what happened to him as he walked home alone and was left to suffer at the roadside. Sentencing Miko at Ennis Circuit Court, Judge Gerald Keyes said he had to take into account the gravity of his actions and the impact on the McNamara family. Judge Keyes said Miko drove recklessly that night and failed to remain at the scene to give assistance, saying any sentence must act as a deterrent to those who drive dangerously on our public roads. He imposed a six-year sentence, suspending the final two years, and disqualifiued Miko from driving for 15 years.